Have you ever had a pinch me moment? Since publishing Never Let You Fall I've had an abundance of them, but this weekend sort of takes the cake. I'm a writer. I kept a journal of my relationship with my high school sweetie—now husband—and I wrote poems and songs constantly. I also practiced my signature in hopes that one day I'd autograph things for fans. I'm extremely grateful and blessed to do what I love. 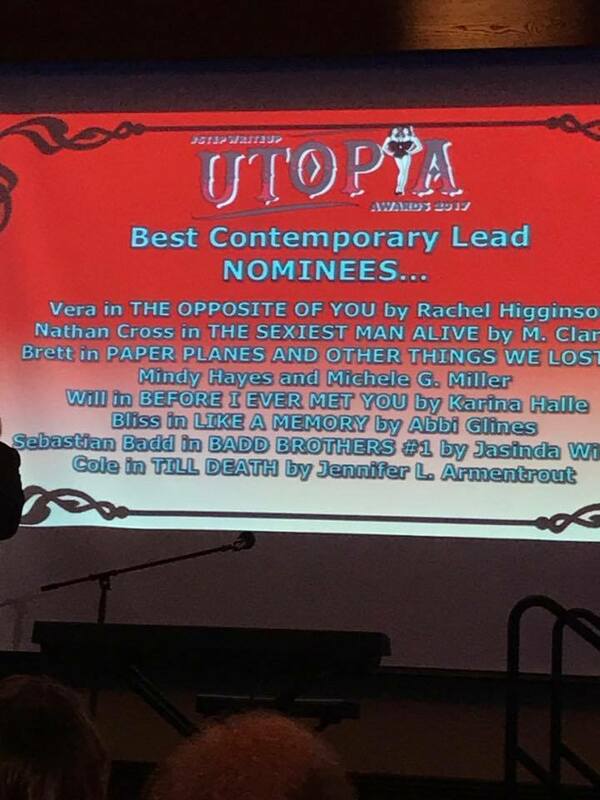 Yes, I'm a words girl but words cannot explain how much UtopiaCon (formerly UtopYACon) means to me. My tribe came from this event. I've met strong, capable, creative women and men at this event. I learned to allow myself to want something more at Utopia. It's with a heavy heart that I say goodbye to UtopiaCon, but my heart bursts with joy at knowing I only need to open social media to find this tribe and share in the joy, pain, and thrills of writing. We lost to Sarah J. Maas, Colleen Hoover, Tijan, Rachel Higginson, and Jennifer L. Armentrout. 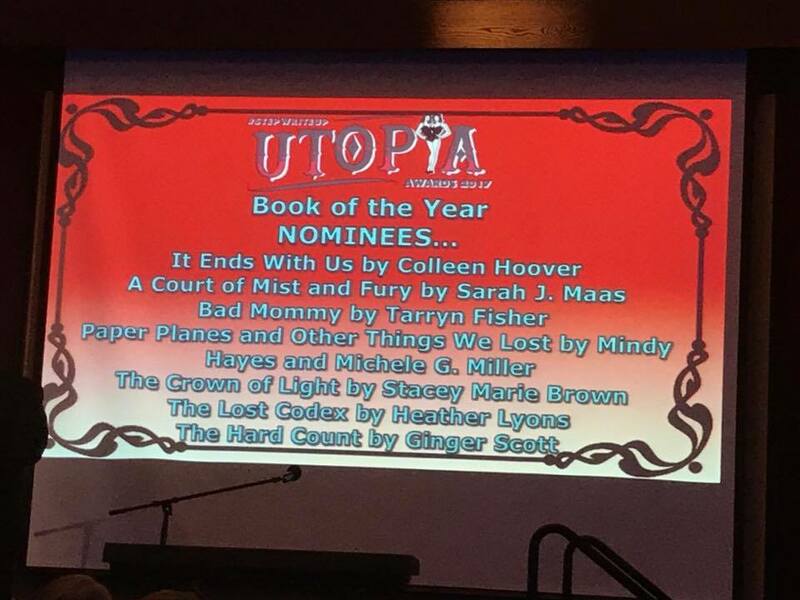 We were nominated for Book of the Year! 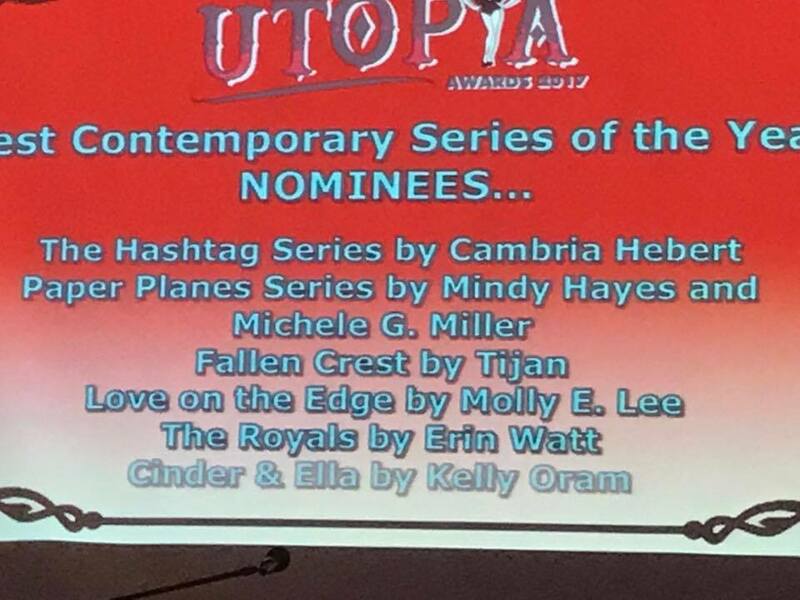 Contemporary series of the year! Guys, for real —pinch me!! It REALLY is an honor just to be nominated, especially with these very deserving creatives. Thank you for supporting us. Thank you for loving our unique brand of crazy. I am so, so grateful. I write with my best friend. I love what I do. I can't wait to do it some more!